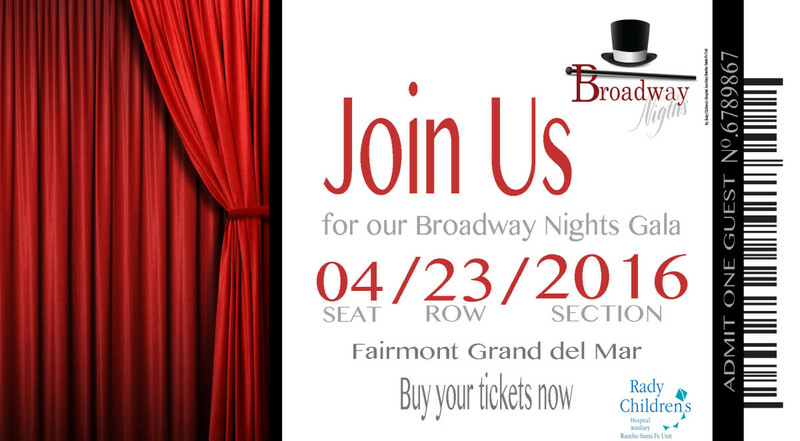 Following a yearly tradition, come and be dazzle as The Rancho Santa Fe Unit of Rady Children’s Hospital Auxiliary presents their “Broadway Nights” Gala this April 23rd 2016 taking place at the Fairmont Grand del Mar starting at 6:00pm. Come and help us finish the commitment to create a resuscitation room for the Sam S. and Rose Stein Emergency Care Center. 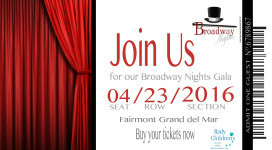 Buy your tickets or tables now.